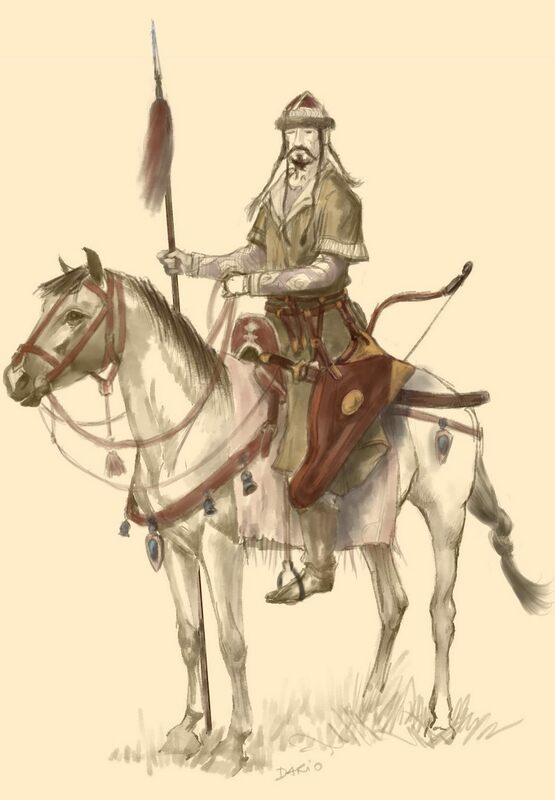 just wanted to share with you a sketch of the Eurasian Steppe rider - perhaps a Polovetz (Cuman), prior to the Mongol blitzkrieg of XIII century - astride a tall blood horse purchased, given or stolen from the southern lands (south of Cumania), perhaps Persia (Khwarezmid Empire) or from the Karakhanids or the Seljuks. for examples see dr Nicolle book on the Kalka River battle and the watercolours by Victor Korolkov in there. Easter is coming fast, this being La Semana Santa; hence we arrived at the moment when one needs to paint some eggs and .... do some travelling, astride a mechanical herd of horses. I don't comment a lot here, but I often visit it and always enjoy your beautiful drawings! Sam, thanks a lot - hope to make your visits enjoyable.